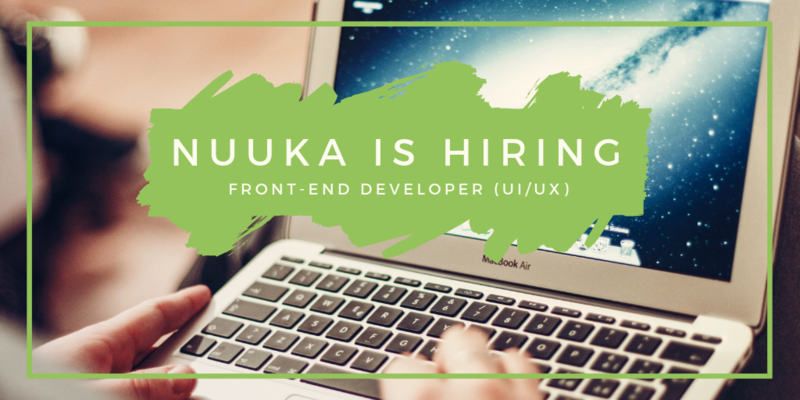 Your tasks are to strengthen the development of Nuuka UI. It includes mainly the development of new applications, as well as the re-designing and updating of partly existing applications with other teams. What does Nuuka Solutions do? Nuuka Solutions is a smart building software company that provides a building process analytics platform to improve space and energy efficiency, indoor climate, sustainability and digitalize maintenance processes in today’s large commercial buildings and smart cities. With our leading SaaS-based software solutions and expertise we help building owners, service companies and users to better manage space utilization, different processes and indoor climate, energy efficiency and get more value out of their existing (IoT) solutions. Nuuka brings new technology to the real estate market and works with the global leaders making their buildings more sustainable, optimized and moreover, people in the smart buildings more productive. Nuuka's applications also play a role in protecting the climate, as buildings consume about 40% of the world's energy. The company is growing rapidly and has customers currently in Finland, in the Nordic countries, Western Europe and the USA. Our offices are currently located in Helsinki, Kotka, Stockholm and Amsterdam.